NSA wiretapped Jacques Chirac, Nicolas Sarkozy, and Francois Hollande, new files exposed by WikiLeaks say. The United States’ National Security Agency (NSA) wiretapped France's former presidents Jacques Chirac and Nicolas Sarkozy, as well as current leader Francois Hollande, AFP reported on Tuesday, citing files exposed by the WikiLeaks website. The spying spanned between 2006 and 2012, the report said, quoting documents classified as "Top Secret". The revelations prompted the French leader to call a defense council meeting first thing Wednesday "to evaluate the nature of the information published by the press on Tuesday evening and to draw useful conclusions," one of his aides told AFP. Among the documents exposed by WikiLeaks are five from the NSA, with the most recent dated May 22, 2012, just days before Hollande took office. The same file also alleges that the French leader went behind German Chancellor Angela Merkel's back to schedule meetings in Paris with members of the Social Democrats -- Germany's main opposition party then. Another document, dated 2008, was titled "Sarkozy sees himself as only one who can resolve world financial crisis", and said the former French president "blamed many of the current economic problems on mistakes made by the U.S. government, but believes that Washington is now heeding some of his advice". Chirac's choice for appointments at the United Nations was the subject of a file dated 2006, according to AFP. In that same document, then foreign minister Philippe Douste-Blazy was described as someone who has the "propensity... for making ill-timed or inaccurate remarks". Neither Hollande's office nor Washington would comment on the information, while Sarkozy's aide blasted the alleged spying as "unacceptable methods as a general rule and more particularly between allies". 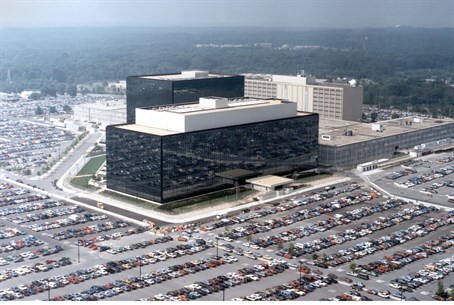 The latest revelation follows a series of revelations over the past two years related to the NSA’s spying program, most of which has been based on documents supplied by former NSA contractor Edward Snowden. Snowden’s leaks revealed, among other things, that the NSA had monitored the phone conversations of 35 world leaders. The documents particularly caused tensions with Germany, after Chancellor Angela phoned President Barack Obama and accused the NSA of monitoring her telephone conversations. Even Israel is not immune from surveillance, as some Snowden documents showed that the U.S. had been monitoring the email traffic of Israeli officials, including former Prime Minister Ehud Olmert and former Defense Minister Ehud Barak. It has also been reported that the NSA recorded millions of phone calls in France, including calls involving individuals with no links to terrorism, and that the agency had collected almost 200 million text messages a day from across the globe, using them to extract data including location, contact networks and credit card details.